YouTube, currently ranked as the number three site on the Internet only behind Facebook Google.com according to Alexa, might by met with some major competition in the next few months. According to Re/Code, Yahoo CEO Marissa Meyer wants the site to have a much larger video presence, and it's willing to go right after some of YouTube's biggest stars and networks. Sources speaking with Recode claim Meyer is willing to offer "better economics," though the exact plan isn't quite clear at this point. The immediate goal is to poach YouTube talent with the promise for more money. Video personalities who make a living off YouTube are apparently fed up by the site's policies, and Yahoo is hoping to try and take advantage of that. Yahoo executives have told video-makers and owners that the company can offer them better economics than they're getting on YouTube, either by improving ad revenue or by offering guaranteed ad rates for their videos, Recode's report says. 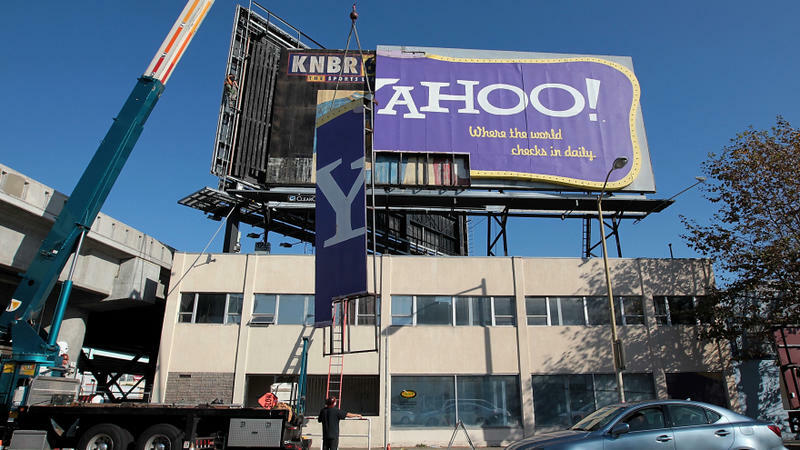 Yahoo has offered extensive marketing, even on its home page, as well as allowing video producers the ability to sell advertising along with Yahoo's sales force. Meyer's approach will be a little different. While YouTube is wild and free, allowing anyone with an account to upload content, it sounds as though Meyer prefers to create a network exclusive to popular video personalities, rather than letting anyone and everyone upload content. If successful, Yahoo could potentially open the platform up, but for now Meyer has her sights set on YouTube's elite; it's unclear which personalities and networks Yahoo has approached. As an incentive, Yahoo will reportedly offer video-makers space on its home page and on other well-trafficked Yahoo sites. YouTube currently takes a 45 percent cut of ad revenue, Recode notes, and doesn't offer any guarantees. Yahoo's offering will essentially act as a content creator's tropical utopia, and at the same time punching Google-owned YouTube right in the gut—Meyer previously worked for Google, for what that's worth. If YouTube personalities see that, hey, others are enjoying themselves on Yahoo's platform, there could be some sort of domino effect. That's no doubt Meyer's hope, though she certainly picked a pretty big competitor to go after. Livelihoods are built thanks to the foundations set by YouTube—TechnoBuffalo wouldn't be where it is today without the video-sharing service. Its reach is unprecedented, and it has spawned some incredible quality, in tech reviewing and elsewhere. Being the number three website on the Internet, it certainly has an overwhelming presence that competing services will have to go up against. But Yahoo is apparently ready to take on that challenge.